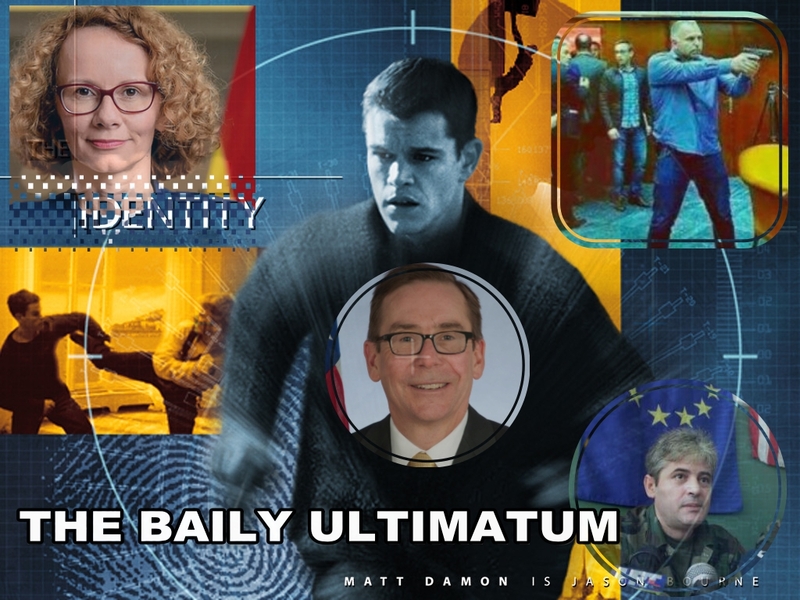 THE BAILY ULTIMATUM PART 1 – QUESTIONS ABOUT MACEDONIA – Alternate Comms. 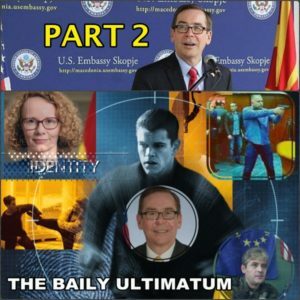 The United States’s Ambassador to Macedonia, Mr Jess Baily, has been a controversial figure from day one of his appointment in 2014. It’s hard to separate the various myths, legends and facts about him and his omnipotence. Some have attributed to him enormous superpowers and involvement in many wild conspiracies which are simply downright silly and do nothing to throw any light on his activities. Moreover, he is not a popular man amongst Macedonians in general because of his behaviour or perceptions about his behaviour, especially a pro Albanian bias. But one thing is certain he has played a key role in Macedonia being on the threshold of changing its name and identity in order to gain NATO and European Union membership. 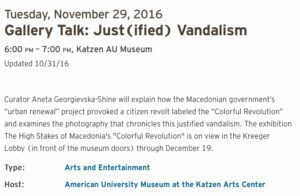 The US diplomat’s tour of duty has coincided with the controversial Colour Revolution of 2016 which led to vandalising of Macedonian monuments and brought “regime change” in Macedonia – the removal of Prime Minister Nikola Gruevski – the 27 April 2017 attack in the Macedonian parliament; US State Department official Hoyt Yee strong-arming the Macedonian President George Ivanov into giving Zoran Zaev of the Social Democrats (SDSM) a mandate to form government; a disputed election of the new Parliamentary speaker Talat Xhaferi; the Tirana Platform; the Good neighbourly deal with Bulgaria and the crucial Prespa Agreement signed with Greece. What now remains is a referendum to be held in Macedonia on 30 September asking in a convoluted way will Macedonia’s change it name in order to secure Greece not vetoing Macedonia’s NATO and EU bid. The delicious irony is the US diplomat’s behaviour or perceptions of his behaviour has turned many Macedonians who were pro US away from US foreign policy in Macedonia and given Russia some steam and influence in Macedonia, though not of the proportions that are being claimed. 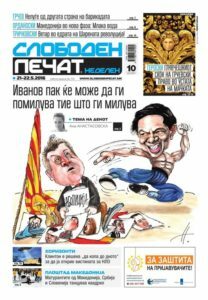 Ambassador Baily remains elusive in fact he refuses to answer certain questions dealing with Albanian extremism and perhaps this fuels the distrust many Macedonians have towards him. Recently in 2018, Team Uzunov blog contacted Ambassador Baily a number of times requesting an on camera interview in order to get his side of the story over many controversial issues relating to Macedonia. Last year he declined an on camera interview but his media spokesman answered a list of questions sent to him – see link here. 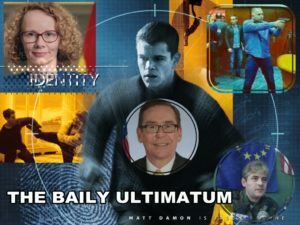 This time around Ambassador Baily has not responded at all to a list of questions below – which over a number of future articles will be examined in more detail. 2. 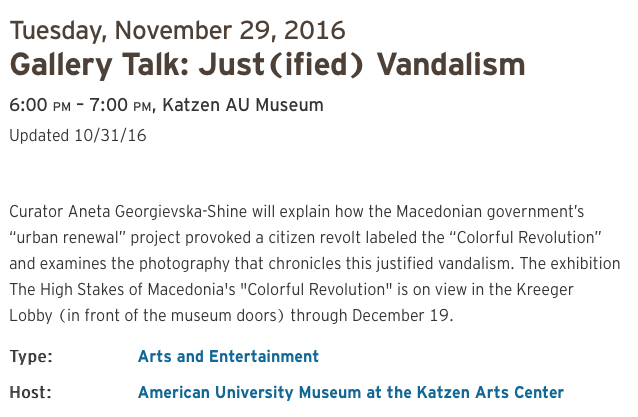 Did employees and/or contractors of US government programs literally buy the paint from the shop in Skopje (that was used for throwing paint bombs at monuments in the summer of 2016)? 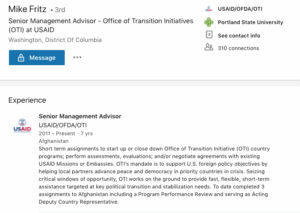 Was that within the mandate of USAID’s mission? 3. Why did [US diplomat] Hoyt Yee resign from his position in the [US] State Department? 4. 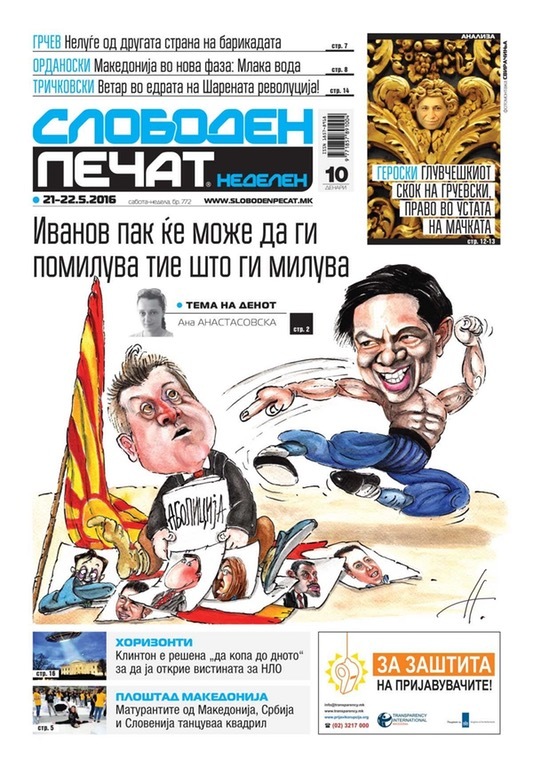 A cover image of the tabloid Slobodan Pechat, which favors SDSM, depicted Mr Yee as karate-kicking President Ivanov into accepting the terms of a new government, perhaps a nod to his Asian ancestry. Do you think this was a racist cartoon that crossed a line? 5. Did any US Embassy officials counsel Zoran Zaev in his approach to phrasing the words of the paper he signed to win the mandate from President Ivanov? If so, what did they do? 6. Who were the American advisers who helped draft the Prespa Agreement, and what parts in particular did they draft? 8. How was the McCann (www.mccann.com.mk) advertising company selected to work on the fall 2016 campaign with AECOM Skopje? Do McCann personnel have any lingering connections with embassy personnel? 9. In Ambassador Baily’s 2014 Senate Confirmation Hearing, he referred to the Macedonians as ‘Slavs’. As an expert on the region, surely he would have known this was understand as a racist and pejorative term. Why did he use this term? 11. Explain the process of how the Embassy coordinated with Brennan before his trip- how early, whether you are satisfied with the result obtained? 12. Media groups that do not support the 30 September referendum such as Republika have complained that the government is censoring similar people online. To my knowledge, your embassy has not criticized this policy. Why? 13. Do you believe the benefits of stifling free speech in the long run will outweigh the drawbacks? 14. 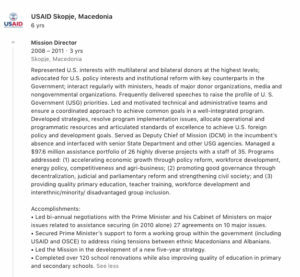 Why did David Stephenson resign from the US Embassy in Macedonia ? What are his current activities as a strategist in Skopje? 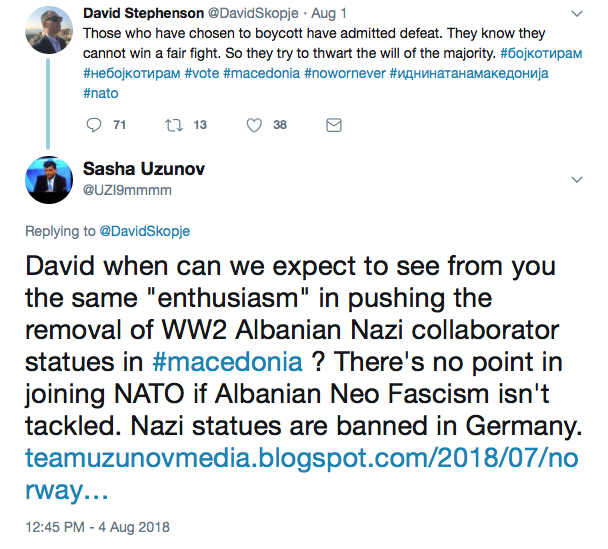 Is the embassy or present/former staff providing advisory services to the Macedonian government or its supporters to try and pass the referendum? 15. 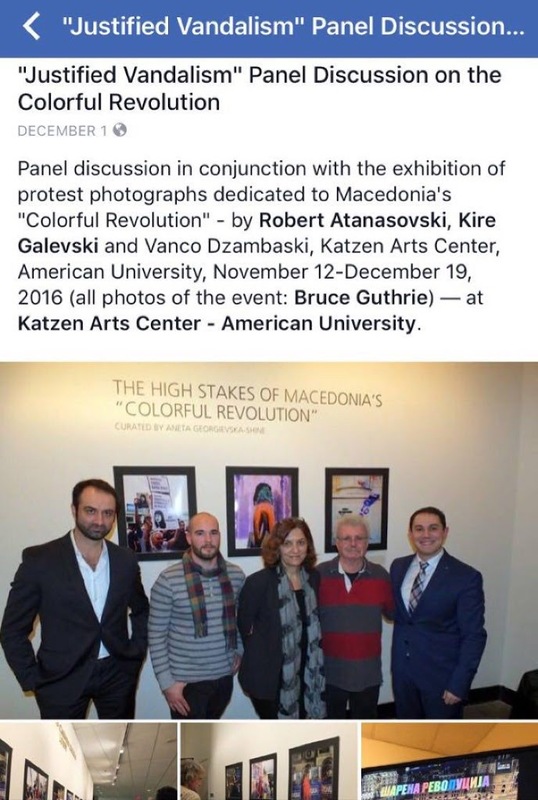 Given that the US Embassy has for many years called for freedom of media, public association and general human rights, do you believe that the government is in danger of infringing upon Macedonian citizens’ human rights with such measures? Supporters of public opposition groups to the referendum such as #Bojkotiram have written that they fear the government will target them. 16. When the U.S. officially recognised Macedonia’s constitutional name in 2004, why was that not a permanent form of recognition? The U.S. now is working hard against the name 14 years later, by promoting the Prespa Agreement. Why the reversal? 17. Does the US support the right of the Macedonians to self- determination and self-identification, basic human rights which are inalienable and guaranteed by all major human rights instruments, and if so, why does it also support the Prespa Agreement which so blatantly deprives Macedonians of these rights and imposes the use of the name Republic of North Macedonia erga omnes.? 18. In 2008 the US Embassy in Macedonia warned against official bilingualism – elevating Albanian on par with Macedonia – for fear of the country unravelling. Why has the US reversed this policy? 19. 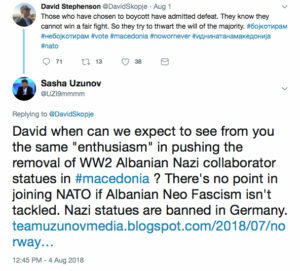 Last year the US Embassy in Zagreb, Croatia strongly criticised far right extremists who had carried the US flag during a march but in Macedonia the US stubbornly refuses to condemn World War II Albanian Nazi statues built by Albanian politicians over the past decade. Why the blatant inconsistency? 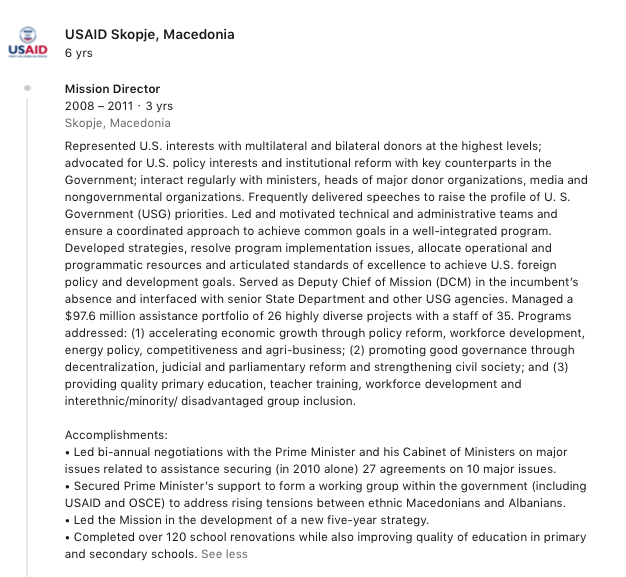 20. Who suggested the Office of Transition Initiative (OTI) program be implemented in Macedonia, considering this has only been used in a handful of third world countries? 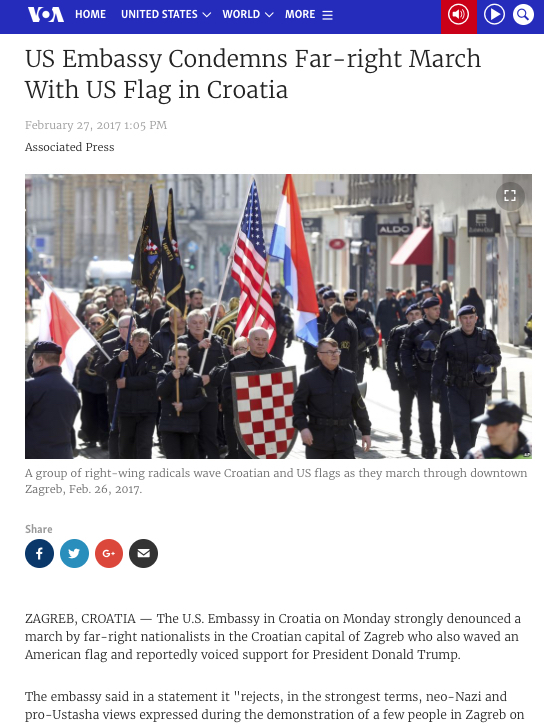 – Did someone in the US Embassy in Skopje requested this? When? 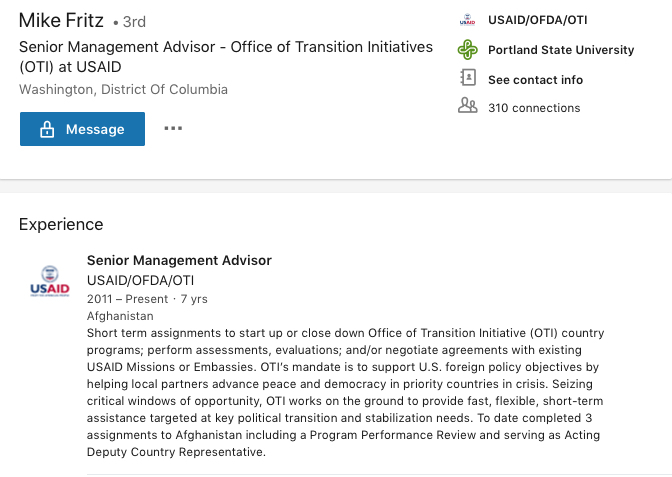 – How beneficial was it that Iron Mike Fritz is [was] Head of OTI in Washington and previously been head of USAID in Macedonia? 21. Did Ambassador Jess Baily know ex US Ambassador Phillip T. Reeker from their college days? 23. Why has it been US strategy in Macedonia to deliberately use Serb chauvinists who pretend to be anti nationalists and anti corruption campaigners such as Borjan Jovanovski, Pavle Bogoevski etc to attack Macedonian identity but who hypocritically refuse to protest outside the Serb Embassy in Macedonia over Serb nationalism and extensive money laundering, which the US State Department considers Serb money laundering as very grave and having an impact globally? Isn’t this racist? Can you imagine a Chinese impersonating a Vietnamese? Also ex Serb strongman Slobodan Milosevic supporters / enablers such as Vlado Kambovski and Ljubomir Frckoski have also been coopted into supporting NATO. Doesn’t this undermine the NATO referendum by cynically using people in Macedonia who were at one time staunchly anti NATO? Are you willing to accept that many Macedonians genuinely remain sceptical about joining NATO?